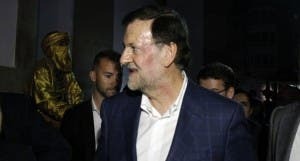 THE 17-year-old who punched Mariano Rajoy in Pontevedra has boasted he is ‘very happy’ he did it. The youth, identified only as Andres de V. F., has been taken by police for further questioning. The PP leader refused to cancel an election rally later that evening in Coruna. 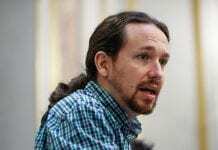 Rajoy’s assailant, who has no criminal record, was initially linked to the Podemos-backed group Mareas. This has been denied by the left-wing group, who claimed the only link was he was carrying their party’s general election pamphlets. On his Twitter page, V.F identifies himself as ‘anti-fascist’. Rajoy has received backing from PSOE rival Pedro Sanchez.